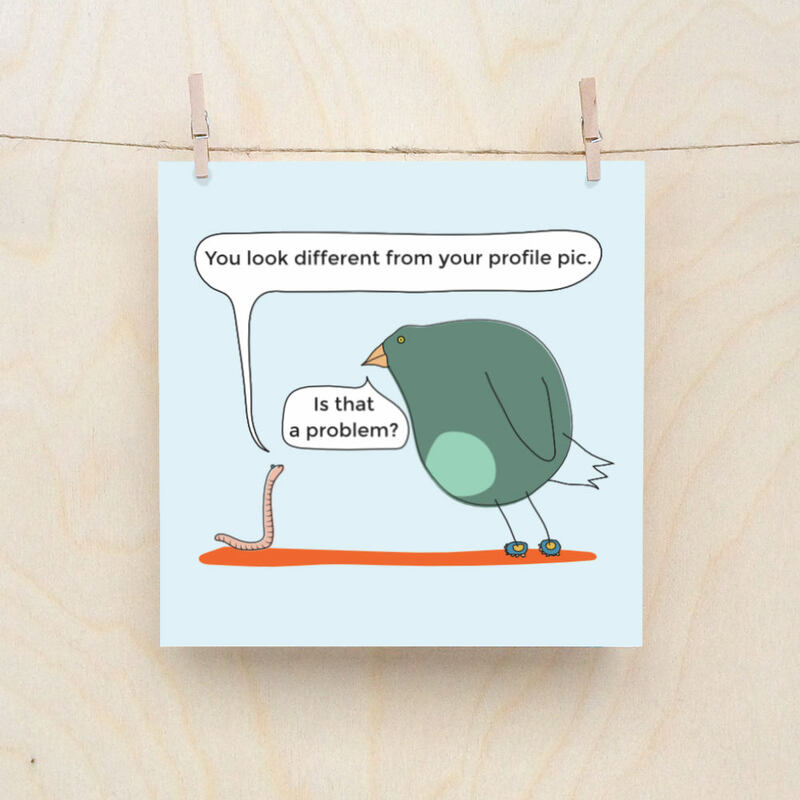 Funny greetings card about the mishaps of internet dating or just the difficulties of everyday life and how different people get on. It's also about a bird going out with a worm which is also a thing. Printed on 148mm x 148mm 380gsm card. Professionally printed. comes with envelope in cellophane wrapper. Shipped in Jiffy bag.